With Archie's first birthday only three weeks away, I have been planning a party with a theme. 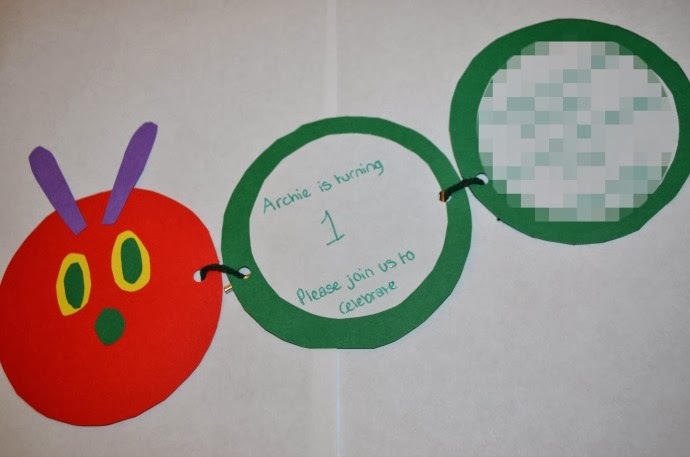 We all love the Very Hungry Caterpillar, so much so that the little guy has a nursery decorated with the classic Eric Carle illustrations, and it seemed a great idea for his party. I am sure I will be sharing plenty of photos after the party next month, but for now, here are the invitations that I have been making. They are incredibly simple to make, I drew round a lid on both red and green card to make the big circles and then drew round a cup to make the white paper circles. 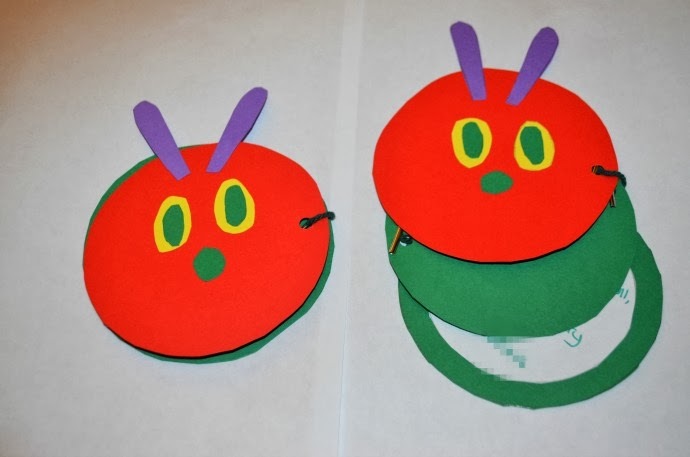 The caterpillar's face is made from shapes cut out of card and glued on, and I used a hole punch and some treasury tags to link the circles together. 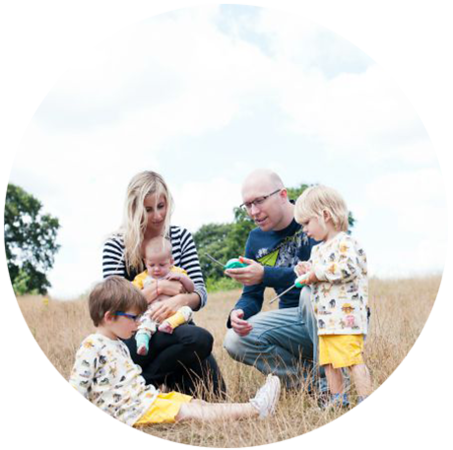 The invitation folds up and opens out to share all the information on our little guy's big bash. 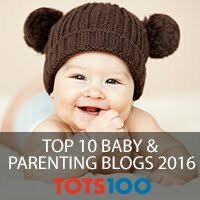 If you have any ideas to make this Hungry Caterpillar first birthday party even more special then please leave me a comment! I am having great fun planning. These are fab!! I love the Hungry Caterpillar!! So simple, yet so effective. Are you going to make one of those hungry caterpillar cakes made out of loads of cupcakes? 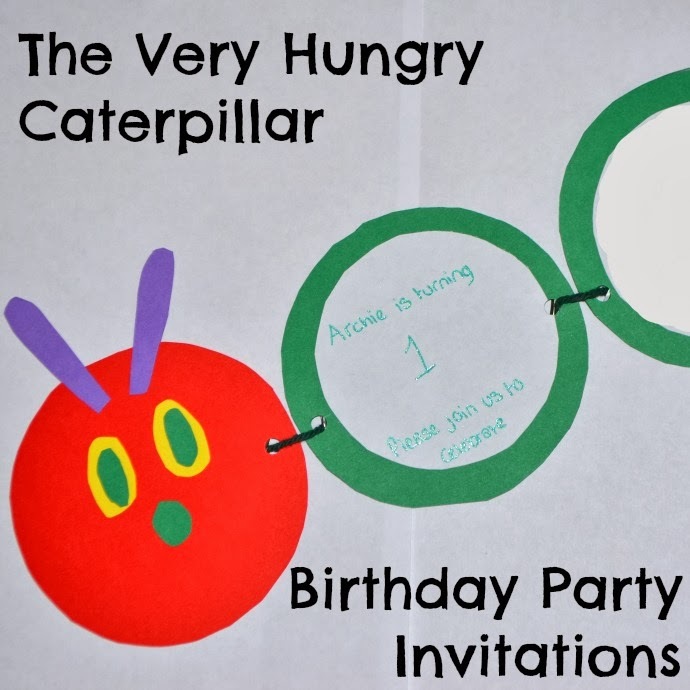 cute birthday invitations. Its simple but utterly cute, have a nice day.